carfax report = 0 get_carfax(1LNBM83F3JY784233, N, 2019-04-22 05:19:05|0, autos, autoID, 1296) -- 980 Security Violation. See our web site at: http://www.selectmotors.com for complete Inventory, Photos, Videos and FREE Carfax Reports. 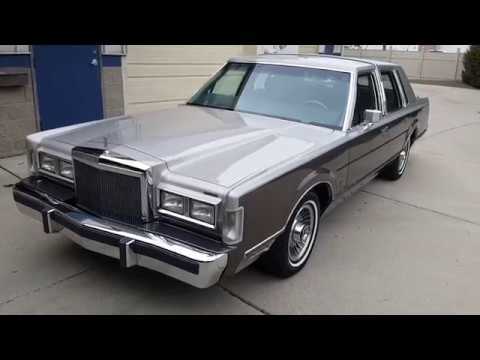 1988 Lincoln Town Car Cartier Edition, 2-tone paint, Silver Gray Metallic with Taupe Metallic, Light Gray interior, 25,178 miles, very original condition. Runs and drives excellent, full power, analog dash gauges for 88-89 model year. Original wheels with like new tires, power seats, automatic climate control, JBL sound system. Totally rust-free body, no dings, fully detailed. EXTRA CLEAN! Select Motors, LTD. has been visited 13,719,063 times.